Teeling have gone from strength to strength since moving back to their spiritual home of Dublin’s Liberties area. Their marvelous finished whiskies have become renowned for their excellent quality, and this is another brilliant example. 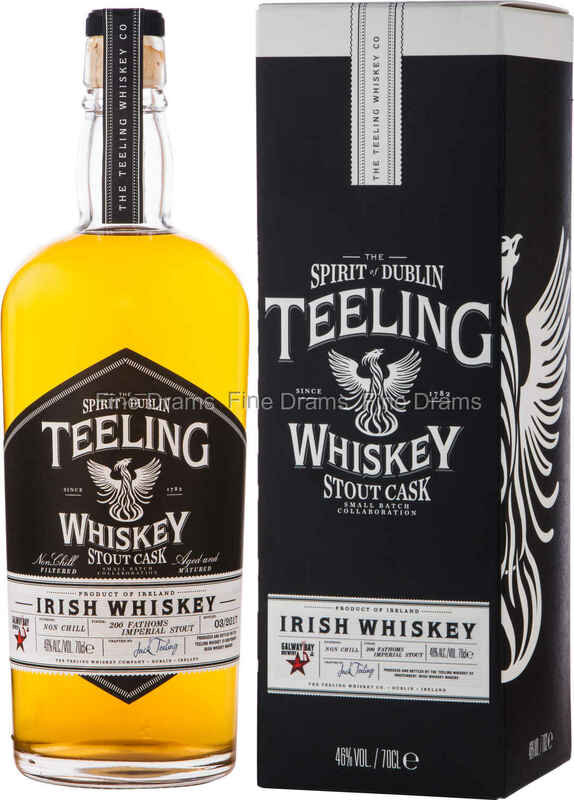 This whiskey was also a collaboration between two Irish drinks companies, with Galway Bay Brewery creating “200 Fathoms Imperial Stout” using Teeling whiskey casks. Teeling then took back these casks, and finished their whiskey in them, creating a dram with a truly unique flavour. On the nose are warm stout-y aromas of soy, espresso, dark chocolate, milk, vanilla, bright oak, and toffee. The palate is thick with a dark stout flavour, subsiding to reveal toffee sweetness, milk chocolate, warm barley, malt and vanilla. The finish is long and thick with a slightly bitter espresso note. This whisky is bottled at 46% ABV, and without chill filtration, resulting in a whisky of extraordinary flavour and texture.